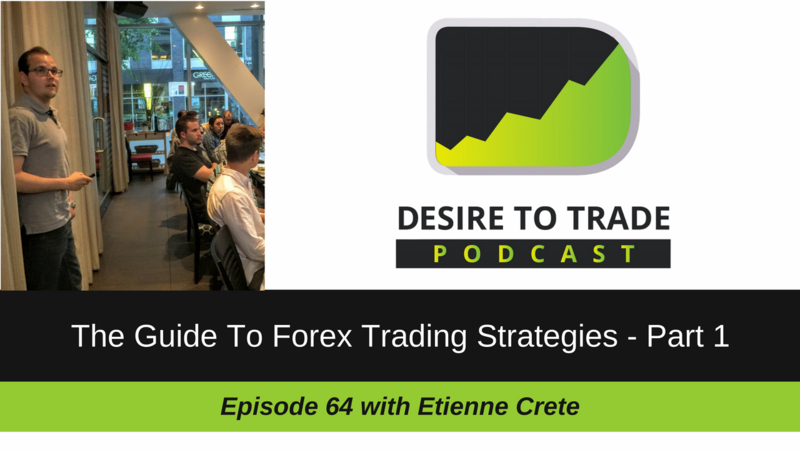 In episode 64 of the Desire To Trade Podcast, I decided to discuss a very popular topic: defining a trading strategy. I recorded a 3-part Guide To Forex Trading Strategies so we can set you up with a plan as soon as possible. I’ve seen a lot of traders trading with absolutely no plan expecting they would succeed, so I want to make sure I address this topic. In fact, you’ve probably already heard the saying “trading is simple but not easy”, right? Well, it is when you have a plan and a strategy to execute on. I agree that executing on that plan will be the hardest part, but we have to cover things step-by-step here. In Part 1 of the Guide To Forex Trading Strategies, I’m giving you a quick introduction of what type of strategy you can trade. In the next parts of this series, we’ll deal with specific indicators you can use as well as how to read price movements. What’s Covered In This Episode?